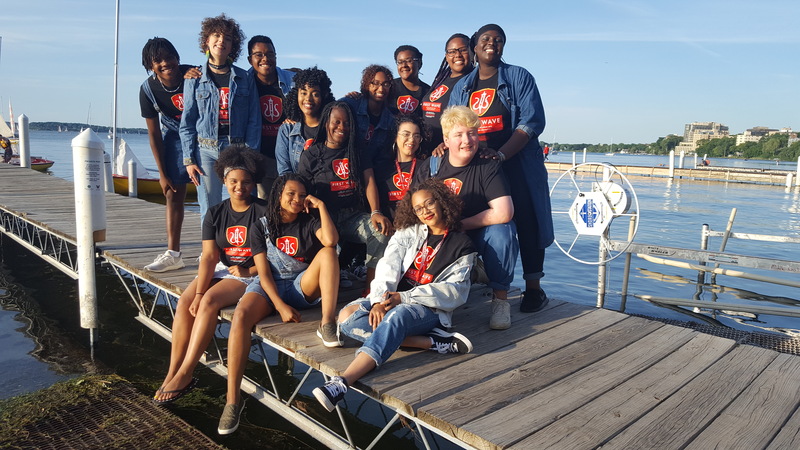 First Wave is a full-tuition, four-year scholarship program for students that are seniors in high school or freshmen in college that are applying to the University of Wisconsin-Madison for the Fall 2019. Please go to the First Wave Application page for additional information on the application process. The First Wave Scholarship application will be available on August 15, 2018.
showcase their talents around the campus, city, country and globe as part of the First Wave Hip Hop Theater Ensemble. First Wave freshman students get a head start on their UW-Madison careers by taking part in the Summer College Experience (SCE), a summer bridge program designed to help incoming students make a successful transition to college. Participants attend two academic classes and one artistic class during the summer session, meet a diverse group of fellow incoming students, get adjusted to the college academic and social environment, and enjoy fun trips and cultural activities. 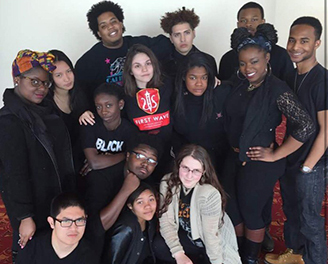 In addition, First Wave students receive professionalized training from OMAI’s Artistic Director Rain Wilson throughout the SCE Experience. The cost of tuition, books, and room and board in a residence hall is covered for all participants. Once on campus in the fall, First Wave students are supported by affiliated faculty and advisors to take courses that stimulate their creativity to the highest potential. Students choose their own major to match their personal interests and life goals, while also having the opportunity to take classes exclusively geared for First Wave. Students live in The Studio Learning Community in Sellery Residence Hall, establishing a distinctive and supportive community. This environment benefits students academically, socially, and artistically, with study sessions and open mic’s taking place right in the residence halls. First Wave students bring their diverse experiences and talents to the table, learning from each other and creating artistic works that cross disciplines. They are also enrolled in a special First Wave First-Year Interest Group (FIG) which is a cluster of three courses taken together that allows for an intimate educational experience and direct and substantive contact with UW faculty members. Prior to beginning their sophomore years, First Wave students will have the opportunity to participate in special internships specifically designed for them. Although currently in development, internship possibilities include working with Hot 97 (New York), the Hip Hop Theater Festival, Contact Theater (in Manchester, England), 2020 Advertising (Miami), Imaijination Studios (LA), HBO (NYC), among other options that change annually. 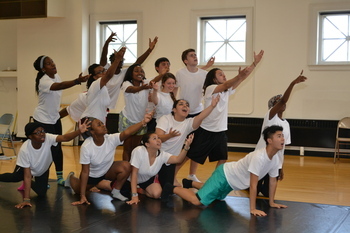 The First Wave sophomore year provides for more flexibility and requires that the students develop projects which showcase their academic and artistic development. 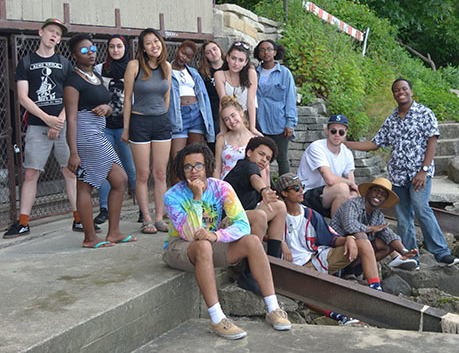 Also, sophomores have the opportunity to participate in more local, regional, national, and international traveling as part of the First Wave Hip Hop Theater Ensemble. Students are encouraged to study abroad, which provides the students with an international experience and deep immersion into language fluency. Our students maintain blogs about their experiences and stay in close touch with their fellow First Wave students studying in Madison. First Wave Scholars have traveled to Australia, Portugal, Brazil, England, France, Japan, China and Ghana, to name just a few destinations. The First Wave senior year is characterized by a capstone seminar and senior arts project as well as in-depth career advising and portfolio development that will provide the the First Wave students with the tools to be successful in their professional endeavors upon graduation.